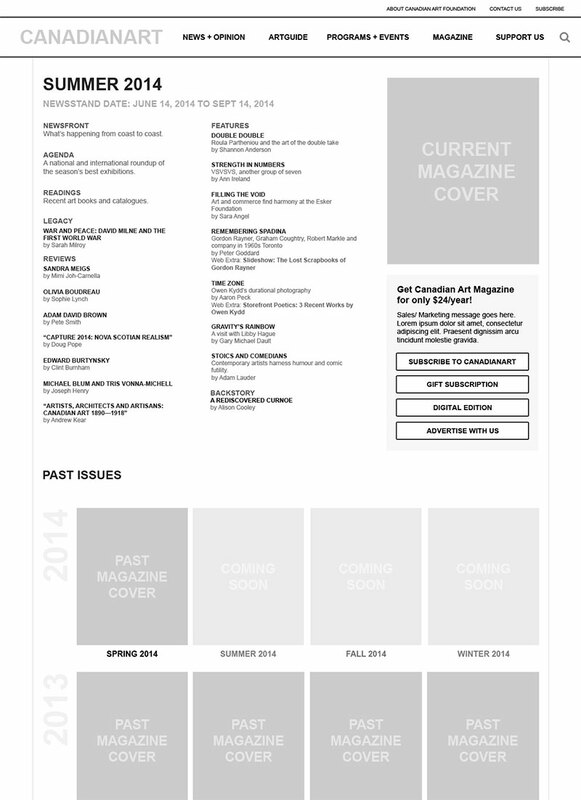 Canadian Art is a magazine dedicated to the art scene in Canada. 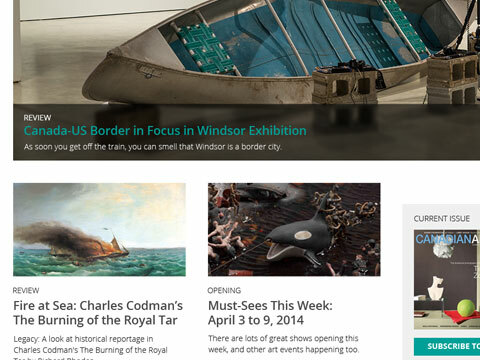 It highlights and features Canadian artists as well as happenings in the country. 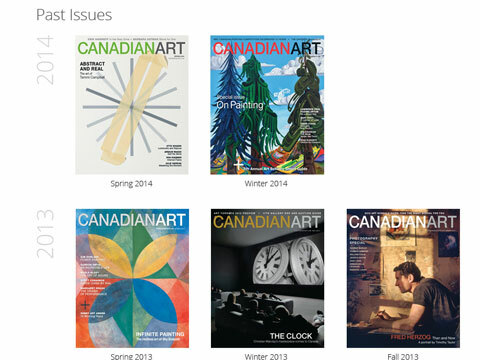 Coming from a dated and aging site, Canadian Art needed a new online presence that matched the aesthetic defined in their established magazine. 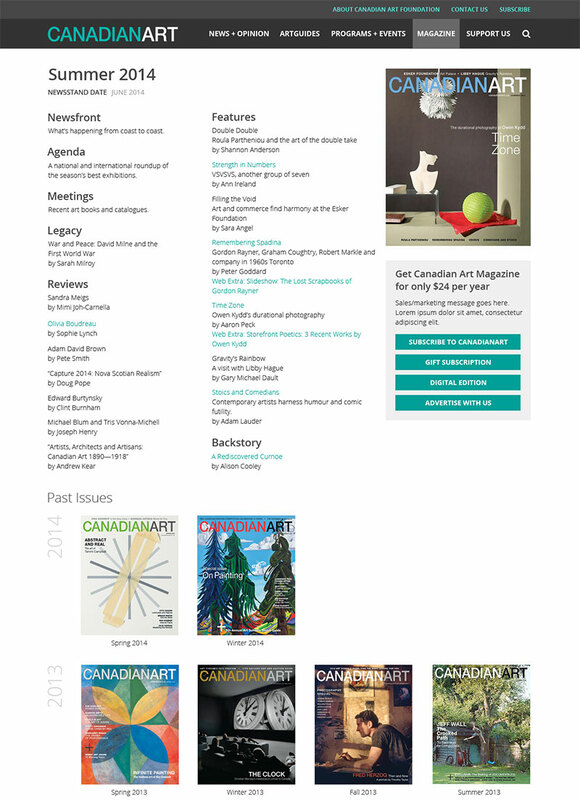 The previous version of the Canadian Art website had navigation issues, scattered content and an overall disconnect from the look and feel of the magazine. 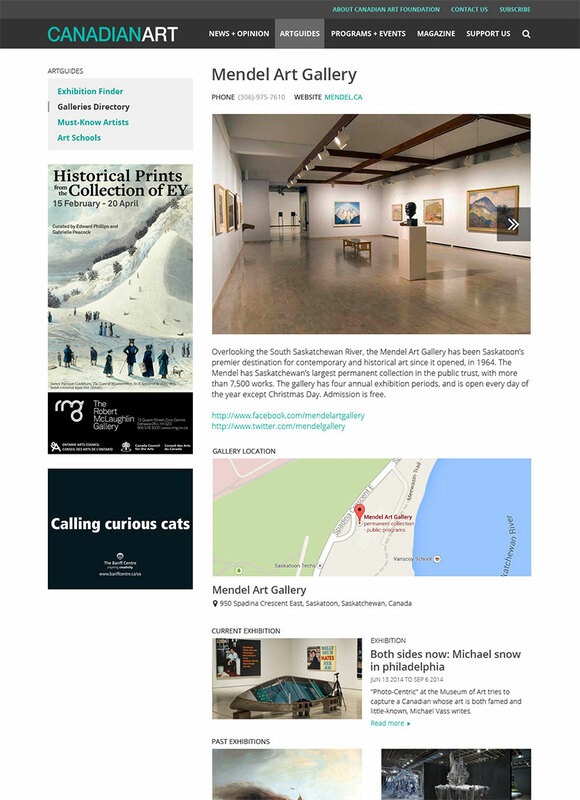 With the online presence being the main funnel of discovery for the magazine, a complete overhaul was done to the site to bring Canadian Art into the modern web age. 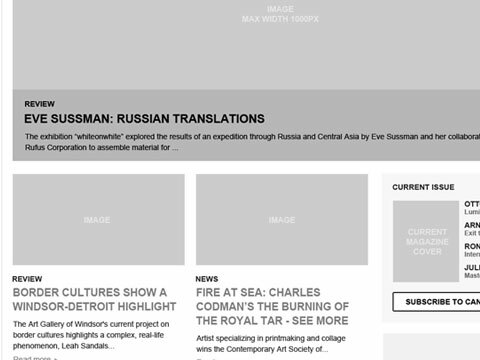 The planning of the Canadian Art website involved many stakeholders including art directors, marketing, and IT personnel all needing certain goals met. 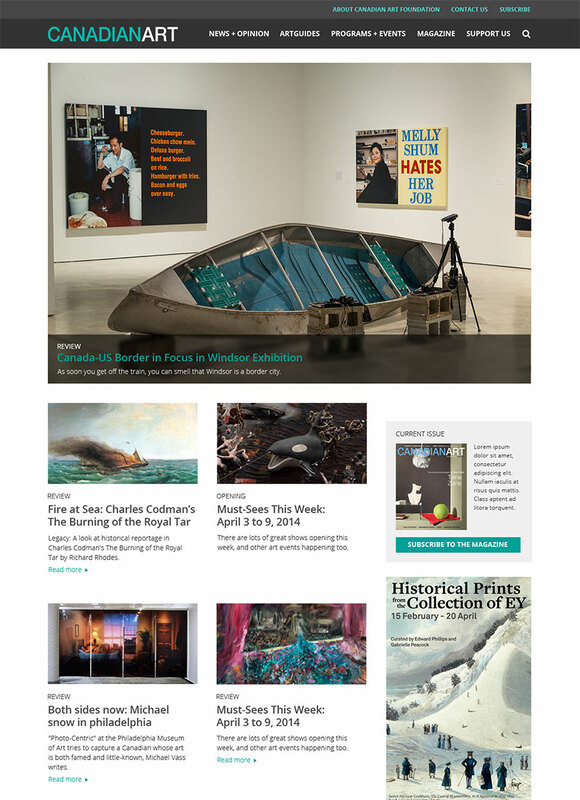 Wireframes were created and iterations were refined with feedback until all parties were satisfied. 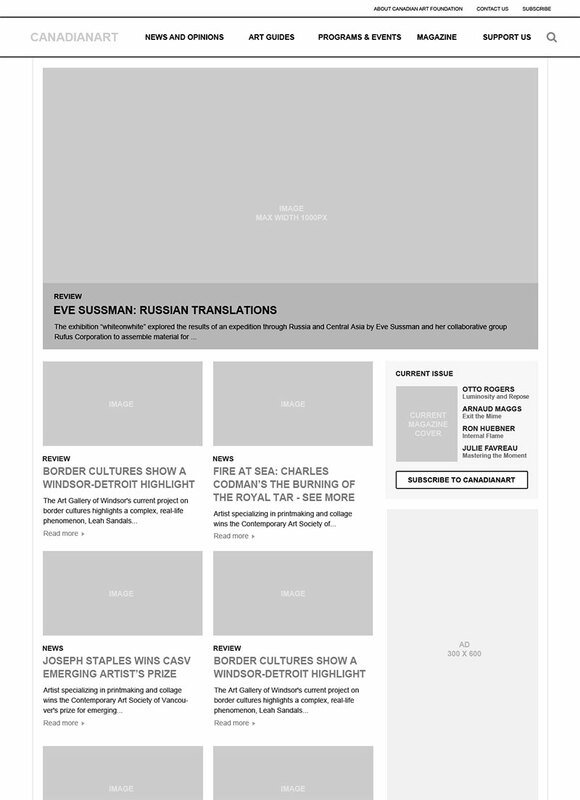 The wireframe set took on 6 revisions with some pages being iterated on up to 12 times. 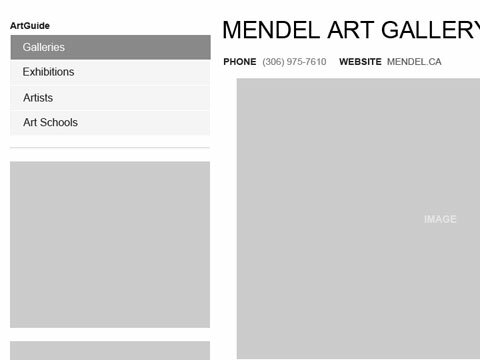 After the wireframes were complete, styling was added by a fellow designer. This styling had to be within the magazine style guidelines, however no actual guidelines existed! 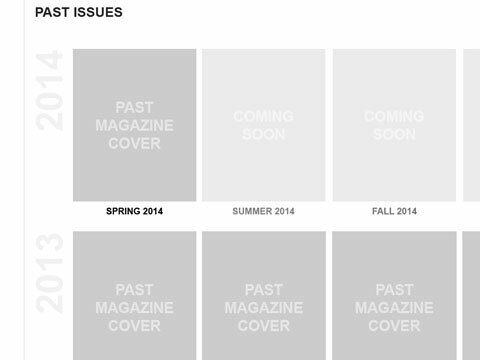 The magazine itself was used to drive design decisions and as a team, we came up with a general guideline that drew inspiration from the magazine, while ensuring that it was still suitable for web implementation. 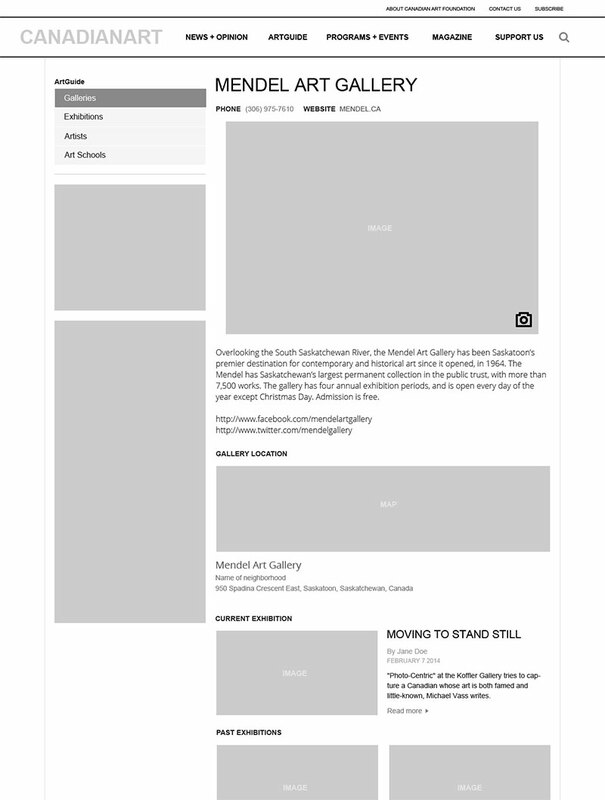 One interesting bit of UX was The Exhibition Finder. 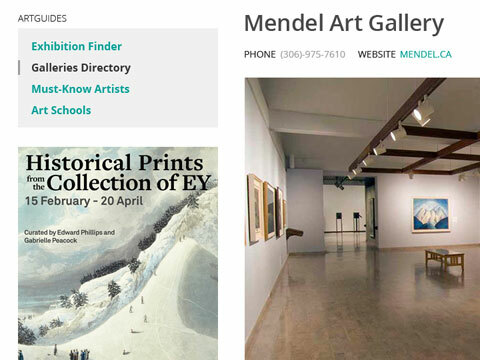 This was a tool that used geolocation to pinpoint where a user was, and deliver exhibits and events happening in his area. A staggered "masonry" display was used to give the events an organic yet organized look and feel.